The Good Books tells us that many can be involved. Some plant, some water, and some harvest. The planters are amazing people. They labor and leave at the end of a day with little or nothing visible. Many who pass by will not even notice or care about what was done in that time and space. May I share part of my story? The planter in this chapter was my grandmother, Alta M. Wheeler. Her dreams so often became reality and on a scale that only those who dream can imagine. Grandma dreamed of flowers and began planting. 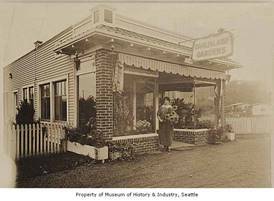 Soon in the 1920’s, acres of Dahlias bloomed on the land that is now St. Demetrios Church in the Mountlake district of Seattle. She dreamed of sharing the beauty and aroma of flowers, so a florist shop was brought into reality. 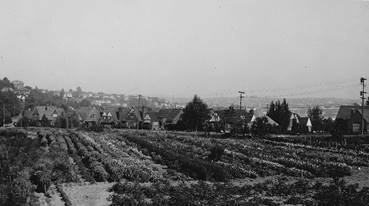 My father and mother worked there, where stems became bouquets, corsages, and arrangements on the tables of the highbrows of Seattle’s hills. Dahlia tubers are not handsome. One cannot see beauty in the swiveled brown mass. Grandma dreamed and planted many things into my life. I barely noticed the tubers that she planted. Of course, looking back there were hints. Several times as a young child my picture was on the Dahlialand calendar. Those tubers were awakened by the Shoreline Area News article this May: Dahlias for Senior Center: free dahlia tubers at the Senior Center May 22. 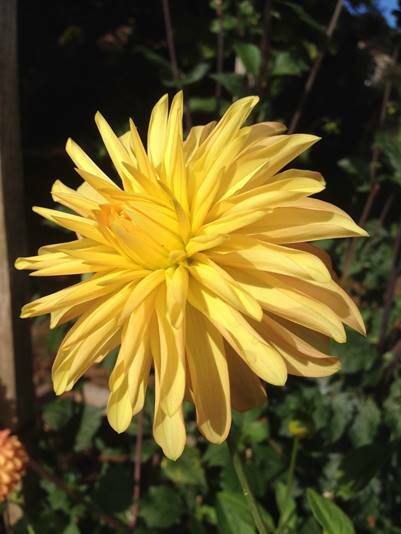 Dahlias grow quickly, once they break the surface. I had a vision of planting and helping. Dr. John Hibbs was there to water. He whet my appetite to see the blooms. I want to see tubers and the Senior Center thrive and blossom. The tubers from May have broken ground. I’m seeing buds and dreaming of the colors. Almost 100 years have passed. I so appreciate my grandma, Dr. John, and the community that did, does and will bring even more glory days (Glory Daze) to our Senior Center.